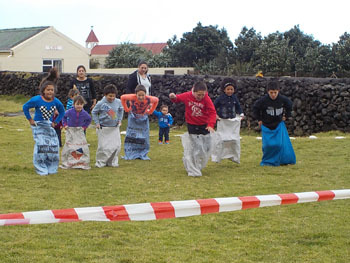 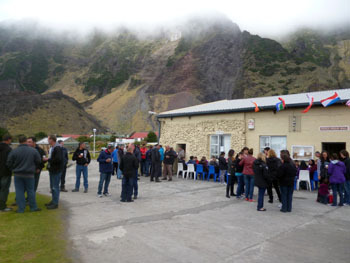 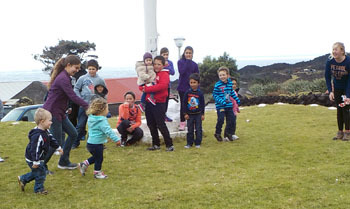 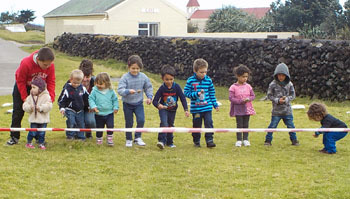 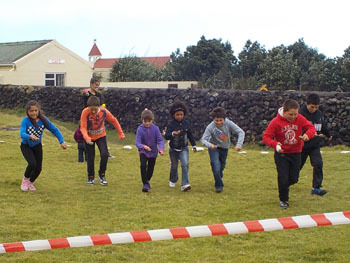 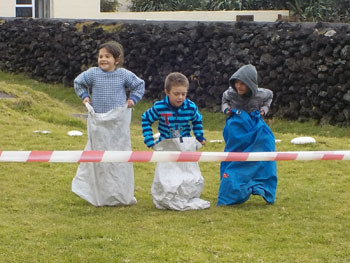 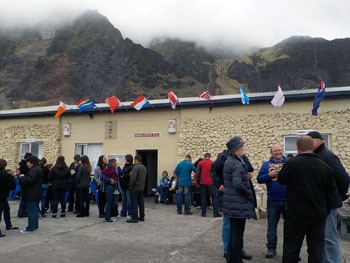 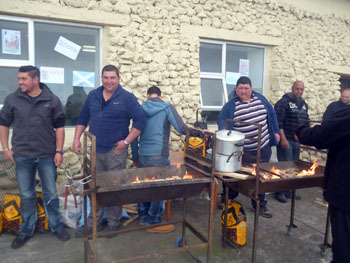 Report on the braai and games held to celebrate the 200 years since a garrison from HMS Falmouth took possession of Tristan da Cunha on behalf of King George III. 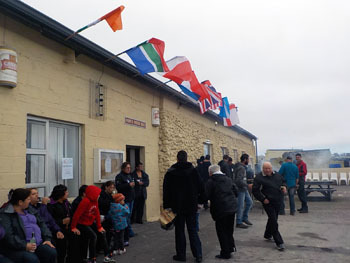 and from that day forward the island has been British. 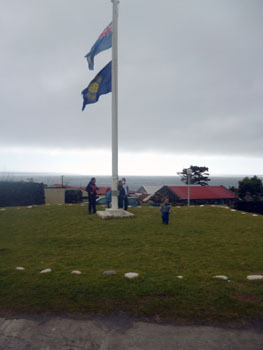 flying atop the island flag pole on 14th August 2016. 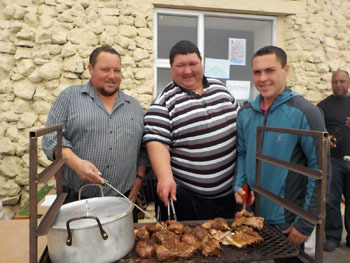 Anniversary Day dawned clear without any rain, which was a great relief as a community braai was planned at the Prince Philip Hall to celebrate the day. 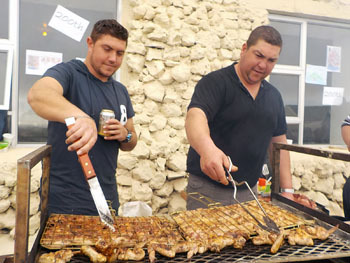 At 10:15am all the people who had volunteered to braai came in and lit up coals and bar men assembled to organise drinks ready for the big braai ahead. 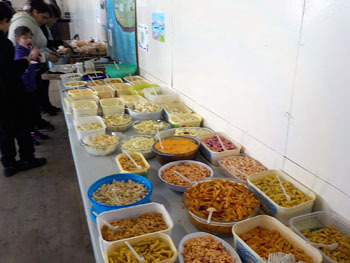 At 11am the community started arriving and each lady brought a lovely dish of salad to accompany the meats. 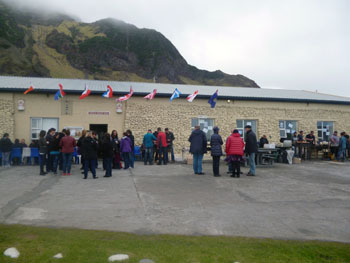 Weather was still good and it was a great turnout. 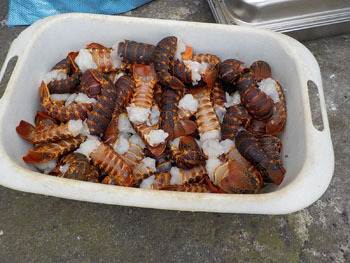 A few of the island guys went on the mountainside the day before and slaughtered two sheep to braai and the Conservation and Fisheries Department caught some lovely lobster. 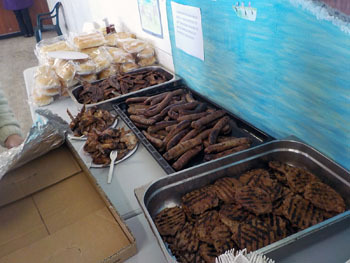 The remainder of the meats were ordered in from Cape Town . 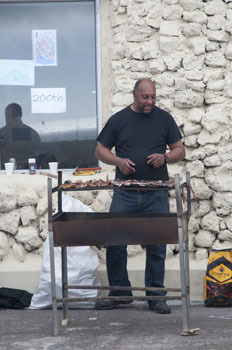 There was lots to eat and drink and it was a great opportunity to relax and catch up with family and friends. 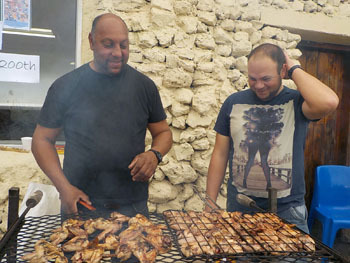 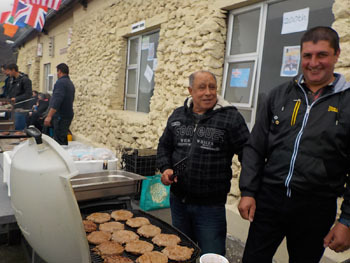 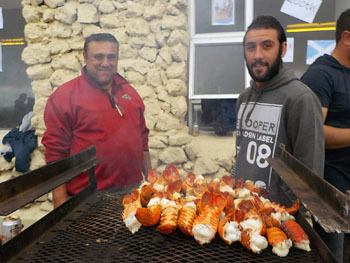 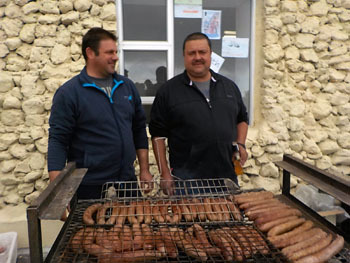 The braaiers and bar men were kept busy all day and the party didn't end until about 4pm in the afternoon. 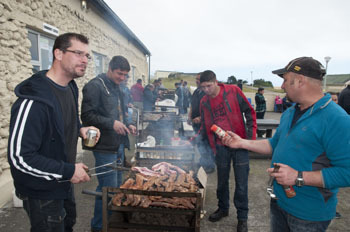 We would like to say a big thank you to those who helped as without these volunteers the day would not have been possible. 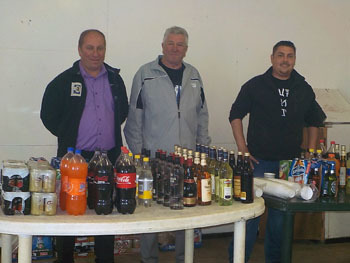 Terry and Rodney overseeing the bar - cheers! 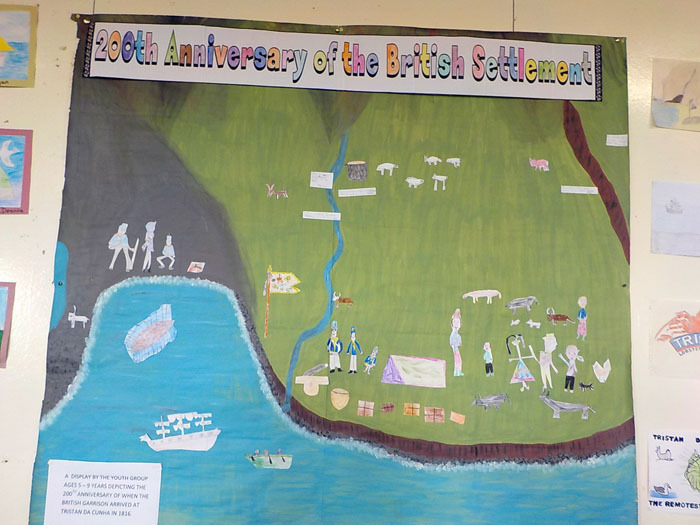 with HRH The Duke of Edinburgh at the Service of Thanksgiving in St Paul’s Cathedral on 10th June 2016, which was also Prince Philip’s 95th birthday.